Hi everyone! Once again I'm apologizing for being MIA.. I've been running Mr. P. back and forth to the hospital. A few more tests done and now we play the waiting game, you know waiting on results. I have him back home once again and he seems to be doing better. Thank all of you for your emails and phone calls. I can't tell you how they touched my heart. You all are just the best! 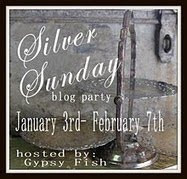 Today is Silver Sunday hosted by Beth from The Gypsy fish. She has graciously hosted this fun event these past few weeks. What a pleasure it's been to see all of your great silver pieces and the way you use them. Beautiful scroll work with some dainty feet. I'm not sure who's initial this belongs to, you see it really doesn't matter. I love anything monogrammed. I feel honored to be the keeper of this beautiful spoon. Mother, I wish you were here so you could see how much I enjoy your gift, how I treasure it. I wish I could talk to you and let you know what's going on in our lives. I wish you could wrap me in your arms , and let me cry on your shoulder. I wish we could share a cup of coffee and a piece of your cherry pie. I wish we could play a game of cards and watch you and Mr. P cheat openly and laugh about it. Mother, I miss you so much.. I wish you were here so I could say Happy Birthday!! Thank you for swinging in today and saying hello. I know many of you are watching the Super Bowl , I hope your team of choice wins! Don't forget in all the Super Bowl excitement to swing by Beth's for a full list of those participating. 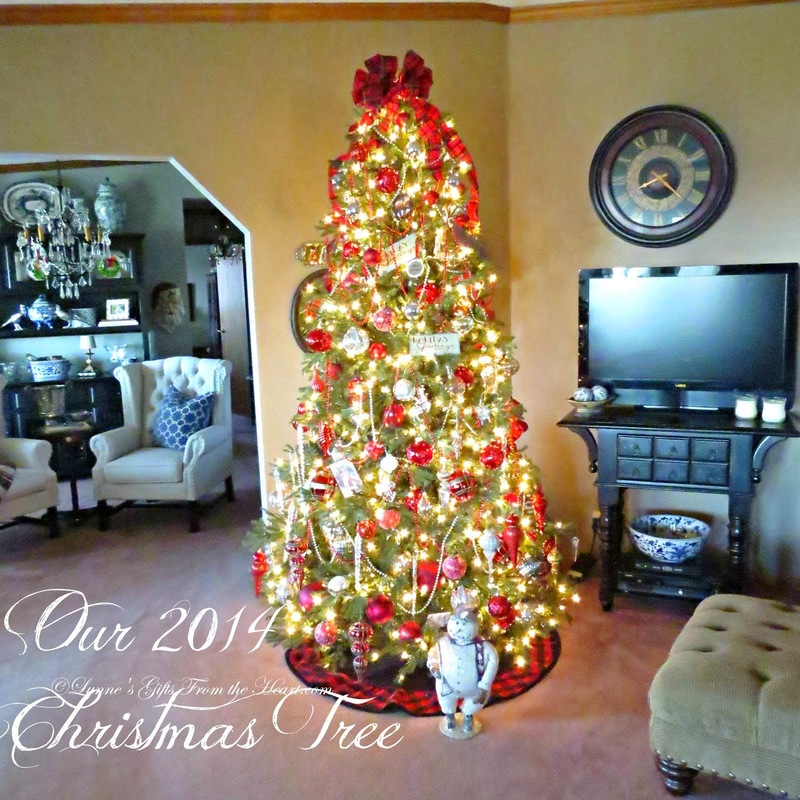 Oh Lynne, I love it all...and so special that your family is represented by the pieces! Happy SS! I love your silver pieces. They are beautiful!!! Sorry you have been so busy lately. I am praying for you and your husband. Love & blessings from NC! It's so nice that you have pieces that belonged to family members. I have my mother-in-law's silver service and really love it...even if we don't use it! 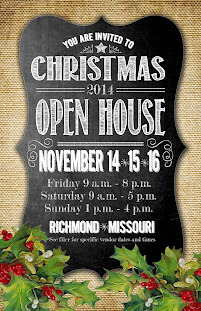 Stop by if you get a chance and enter my two giveaways. Hi Lynn...Beautiful silver, beautiful words...Prayers are always going up for you. Oh, that set is so beautiful!! I'll be praying for your loved one! I know it can be hard to wait for results...I'm a nurse and I don't like waiting either! Your silver post is just gorgeous! What a lovely collection you have. Hope you have a great Super Bowl Sunday! Gosh, I love every single piece you've shown us, Lynn! Isn't it kind of funny how we all love things monnogrammed or engraved or imprinted with someone else's name! I love it too. Lynne, you have a stunning collection of silver. I write this through tear stained eyes sweetie. I love all of your beautiful silver. So pretty and wonderful to take out and look at, even if you never use it, it is right there to be shared with friends. How beautiful this wonderful tribute to your sweet Moma. I want you to know that she does see how much you enjoy this beautiful gift, and Lynne she does wrap you in her arms every night in prayer, let it go sweetie, she is right there. Share that cherry pie and coffee with her, as she is only a breath away. I believe every time you and Mr. P play cards she is right there playing along and just laughing away at the two of you. She misses you too, but she also knows that one day you will both be brought back together sweetie in our heavenly Father's house. I love you sweet Lynne and am always right here if you need a friend to talk to. I continue to pray for dear Mr. P and that everything will start to feel a little normal again soon. Hi Lynn, I love all your beautiful silver. When I read the bottom about your Mom, it touched me so deeply. My mom is 86 years old and I treasure every moment we talk and spend together. This is the sweetest post, honoring your mother. We just never stop missing our mama's when they're gone. The silver from your mother is so beautiful, but it's history makes it so special!! You have some very pretty silver. I don't have a lot of silver because I don't like to polish it - got rid of most of it years ago. Sure hope your husband gets good news on his test results. Oh...and the toile bedding was from Target...many moons ago! Oh Lynne...this is such a lovely post! I love the reminder of your Mother and the sweetness of your relationship! My prayers are with you and your husband...God bless you both! Ok Lynne, I told you to stop giving me sad faces...that was so sweet to your mom! I'm sure you must miss her. Your silver is gorgeous - every piece. You'll always have those memories! Hope Mr. P gets good results & glad to hear he is doing better. Have a great Sunday! All I can say is OOO & AHHHH!! Hope Mr. P is Ok!! Saving some small prayers for ya. Beautiful display. I'm with you, I love monograms. I do love your silver, tarnished or shiny and polished! Love the spoon to. I hope Mr. P is doing better today. God bless you for walking down this hard road with him and supporting him. Lynne, Your mother silver pieces are beautiful. This was a beautiful tribule to your mother. I know how hard it must be for you. Hang in there friend...prayers to you and Mr.P. Tarnished or polished, it is all about the memories. Thank you for sharing. Your photo presentation was lovely. Lynn, what a treasure you have. I'd want to have this so I could enjoy it every day too. Thanks for sharing. Happy Silver Sunday! I'm so glad to see people are starting to appreciate the old silverplate... even if it's from the 50s or 60s. Thanks, Lynne, for sharing all the great photos. Take care... I will be thinking about you and Mr. P.
Oh what beautiful silver! I think your sweet Mom would smile to see you lovingly polishing it. Wish I was there to give you a huge hug, Lynne!